Given all the coverage I do and the number of festivals that take place around Dialogue Inc. headquarters, I've attended no less than three each summer for the past few years. None has me running around with child-like glee the way Detroit's Movement festival does. Annually, I parcel out the schedule so that I can catch 45 minutes of a set here, only to make a mad dash across the grounds to catch 30 minutes of another there. It's my personal Disneyland and there are more wild rides across each Memorial Day weekend than I can cram into three days. But still I try, and try I will this coming Saturday through Monday, May 26–28. To help give you an idea of where you might want to head were you to also make your way to Motor City this weekend, I've hand picked three acts (or so) from each day that fall under the 'must see' category. Trust. In many ways, day one is the most stacked of the three. What, between Todd Terje, Benoit and Sergio, Roni Size and Lil Louis, how is one ever to make up his or her mind? While it will include some of all these afore mentioned, for me it's going to go something like this: Greg Wilson, that legend, master of the edit, the reel-to-reel and all things electro-boogie is warming up the main stage just as the day is starting to cool down. I had a chance to interview him ahead of a Chicago date last year and we talked so long my tape recorder ran out. Then he had visa issues and couldn't make it. I won't be missing the Wilson two times in a row. Greg Wilson plays the main stage from 5-6:30pm. Later in the evening comes a man I'm ashamed to say I've only recently come to be obsessed with. U.K. drum 'n' bass master Photek gets the Red Bull stage primed for the rest of the evening and if he's sounding anything like his recent contribution to DJ-KiCKS, he'll be cooking up a lot more than just atmospheric jungle. 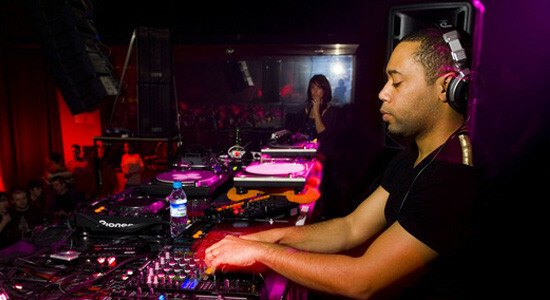 I expect healthy doses of stripped-down post-dubstep bass, touches of acid and even his own deep take on house and techno. Photek spins the Red Bull stage from 8:30-9:30pm. Speaking of deep house and techno, I can't close out this first night any place other than the Beatport stage, where Visionquest's Seth Troxler goes at it back-to-back with Israeli rising star Guy Gerber (pictured). Troxler's Visionquest crew mixed a solid entry into the Fabric series late last year and just yesterday I got my hands on Gerber's upcoming contribution—16 tracks that represent his singular vision of deep dance music, not one that doesn't have his name attached to it. That's a bold move and I'm putting my hands together for it. Seth Troxler and Guy Gerber close out the Beatport stage from 10pm-midnight. Sunday kicks in early with Detroit legend Carl Craig broadcasting from the main stage. Seeing him perform as 69 last year was super cool and all, but I want to see the man, as the man, spinning records. No frills. Craig does so from 3-5pm on the main stage. From there I'm back to the Beatport stage where two of my greatest discoveries of the past six months play one after the next. London's Maya Jane Coles has been on a tear recently, mixing a brilliant DJ-KiCKs and churning out a steady stream of punchy deep house nuggets. Her output cannot be relegated to a sushi restaurant soundtrack. But she's also not afraid to head out into the ether, as she showed us on her DJ-KiCKs, flirting with the bass music world and some of the material that you can find alongside hers, over at Hypercolour. Maya does her thing at the Beatport stage from 4:30-6pm. Some might get a case of the nerves following up the hotly tipped Coles, but Crosstown Rebels' wunderkind Maceo Plex is one that can give her a run for her money in terms of buzzworthy notoriety. Crowds go bonkers for his runaway hit "Under the Sheets" on Art Department's No. 19 Music and, in my humble opinion, his latest for CR, "Frisky," is about to do the same. I've yet to see him live, but I'm making sure that changes. Maceo Plex follow Coles on the Beatport stage from 6–8:30pm. 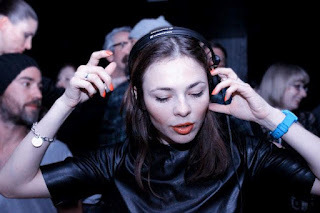 Another early showing sure thing is that of Siberian beauty and massive talent Nina Kraviz. Her debut full length landed on Radio Slave's Rekids label early this year, after ratcheting up interest with her burning "Ghetto Kraviz" single, one sure to be heard more than once this weekend. Kraviz bumps it out from the Main stage from 3-4:30pm. 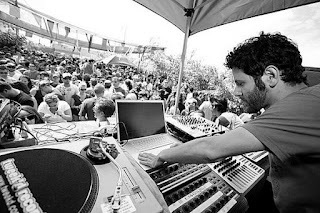 While it's also a must to take in at least some of Cassy's follow-up set, so is diverting your attention to the Red Bull stage for ex-Discotech man Danny Daze, who's brought his sound back to the underground with big releases for the likes of Hot Creations. "Your Everything" quickly became one of my favorites this year and I'm keen to hear what else he has in his box. Catch Daze at the Red Bull stage from 4-6pm. If by this point in the weekend, your ears are ready to bleed from too much techno (it just might be possible) the Red Bull stage diverts from the formula for the remainder of Movement's final day, focusing on other burgeoning dance trends, including the MPC wizardry of Dipset producer araabMUZIK. His Electronic Dream LP from last year spent a decent amount of time stuck on repeat for me and I wanna see what this guy's made of when he sets his sights on pounding out those beats live. araabMUZIK and his MPC go live from the Red Bull stage from 8-9pm. As all good things do, Movement 2012 must come to an end. Thankfully, it does so with the Wizard, a.k.a. the legendary Jeff Mills. There's not much that I can write that will do any more justice to this man's illustrious career. Having been in the game long, he's bound to have some new new business to enlighten us with, alongside the tried and true. Bottom line is, I'm game for it all. 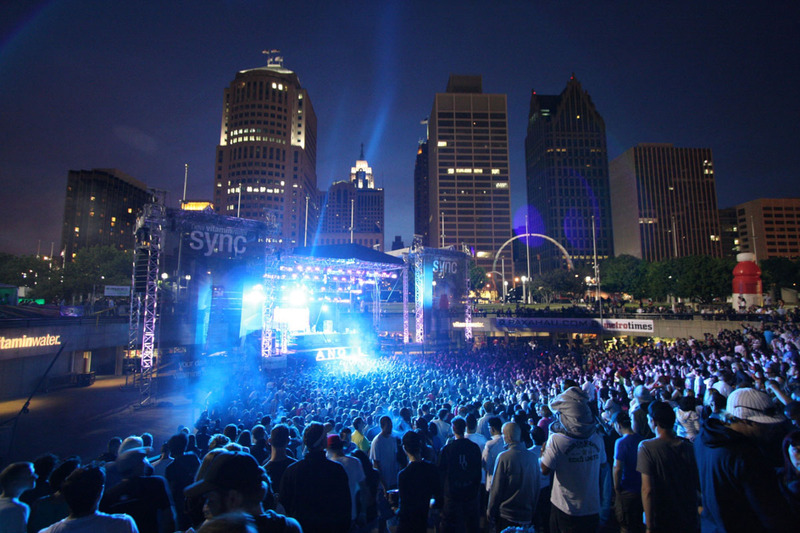 Jeff Mills closes out the fest and the Main stage from 10:30pm-midnight.